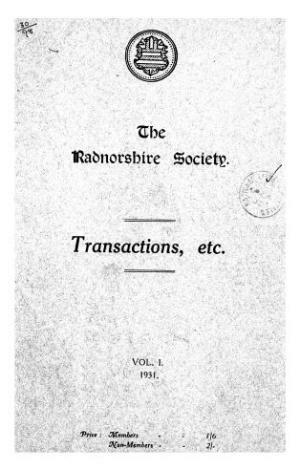 The Radnorshire Society Transactions contains scholarly articles on local history topics, book reviews, and society notes. It was first published in 1931 and continues. Publisher Details: The Radnorshire Society was established in 1930 to promote the study of the archaeology and history of the county of Radnorshire (now part of Powys).